Gary Monheit (piano) and Dan Krimm (fretless bass guitar) have been playing jazz together off and on since their college days in the mid-70s, when they were both inspired by the explosion of new musical possibilities of the era. 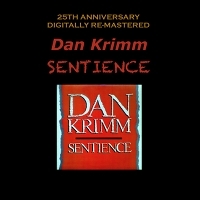 The new ground blazed by pianists like Herbie Hancock and Chick Corea and bassists like Jaco Pastorius and Eddie Gomez expanded the stylistic potentials of these instruments, and of the music generally. After several years living in different metropolitan areas, they reconnected in the Bay Area in 2006 joining the Fortune Smiles quintet, and are now playing as a duo, recapturing and extending the rapport that first emerged some 4 decades ago. 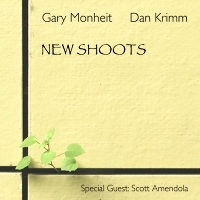 Their new album 'New Shoots' was released March 6, 2016, featuring a trio with special guest Scott Amendola. A consummate accompanist with a forceful left hand and a deft touch in the right hand, Monheit also shows a sense of harmonic and rhythmic adventurousness in his improvisations, as he demonstrates in his cascading solo on Meadowlark, his daring extrapolation on the mesmerizing modal number Misspoke and his singing solo on Awakening. His dazzling keyboard work on the propulsive 6/8 number Rambling Green is a pianist tour de force while his Blues for Terri (named for his wife) is old school in the best sense of the word, with just a twist of Monk coming into his earthy, Junior Mance-Ray Bryant- informed statements. All About Jazz musician pages are maintained by musicians, publicists and trusted members like you. Interested? Tell us why you would like to improve the Gary Monheit and Dan Krimm musician page.